A bit of a challenge to grow (but well worth the effort), these cottage garden favourites produce sprays of fragrant, funnel-shaped flowers at the ends of arching, branched stems in summer. A favourite with the florists, they look superb planted in a mix border or just en masse in patio pots. 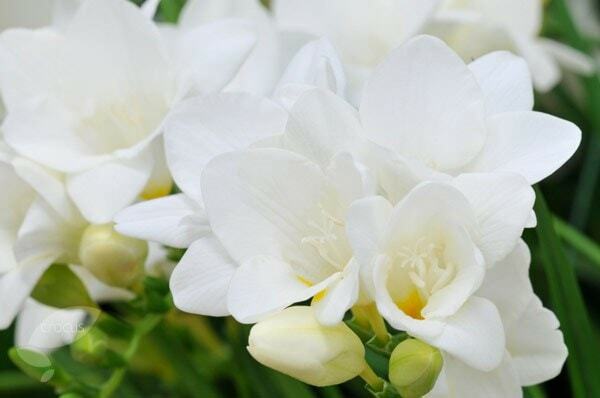 Freesia 'White': Grows to 25cm. 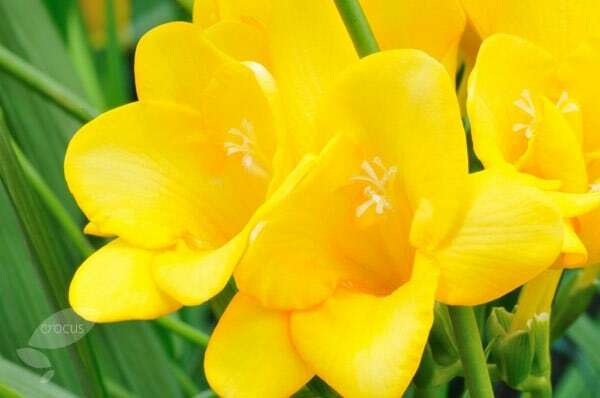 Freesia 'Golden Yellow': Grows to 25cm. 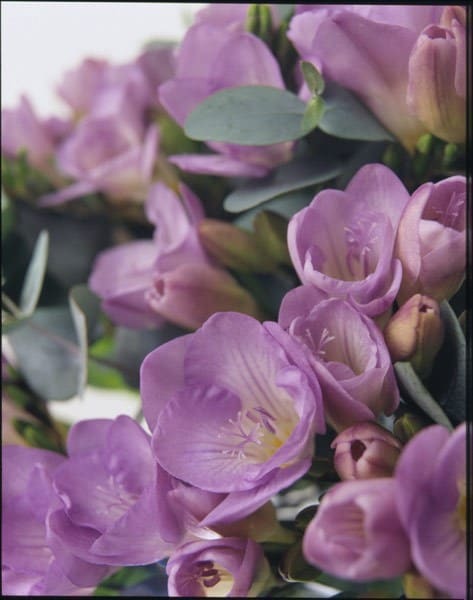 Freesia 'Blue Moon': Grows to 25cm. Garden care: In spring, plant 8cm (3in) deep in soil in full sun. After flower buds appear, water regularly and feed with a liquid fertiliser every week. After flowering, reduce the watering until the corms are dry, then store in a frost-free place until planting for next year.